In the next few days there are two fundraising events happening in Uptown for causes that I care deeply about. I hope you’ll consider joining me at one or both of these events. I wrote about Emerge California when I graduated from the 2011 class back in June. Emerge California is the premier training program for Democratic women who want to run for office. The goal of Emerge is to increase the number of Democratic women in public office. Updated with memorial service information for Sanjiv and Ron at the bottom of this post. I was in complete shock for several minutes. I had heard that Sanjiv had looked sick at last week’s Council meeting, but I had a hard time grasping that he was gone. I had an even harder time imagining what City Council and other meetings would be like without him. 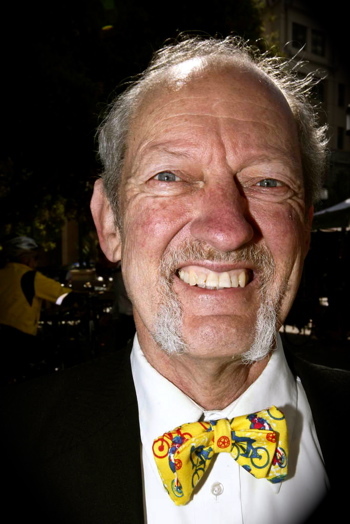 I was equally saddened and shocked a few weeks ago when I found out that Oakland bicycle advocate Ron Bishop had died. I hadn’t seen him at Oakland Bicycle and Pedestrian Advisory Committee (BPAC) meetings for a few months, which – now that I’m looking back – should have alerted me that something was wrong, as he had been a founding member of the BPAC, was chair for many years, and rarely missed a meeting. But reading the news on Facebook surprised me and brought tears to my eyes. Oakland is so lucky to have benefited from the watch-dogging and advocacy of these two men. I could write pages about each of them, but I won’t, since others have already done that. I highly recommend reading Dave Campbell’s blog post about Ron Bishop on the East Bay Bicycle Coalition website. For more on Sanjiv Handa, read this 2006 East Bay Express in depth piece about him.